Nordstrom Rack, the off-price division of Seattle-based Nordstrom, announced Wednesday it will open a store in a new shopping center planned in Vernon Hills just outside of Chicago. 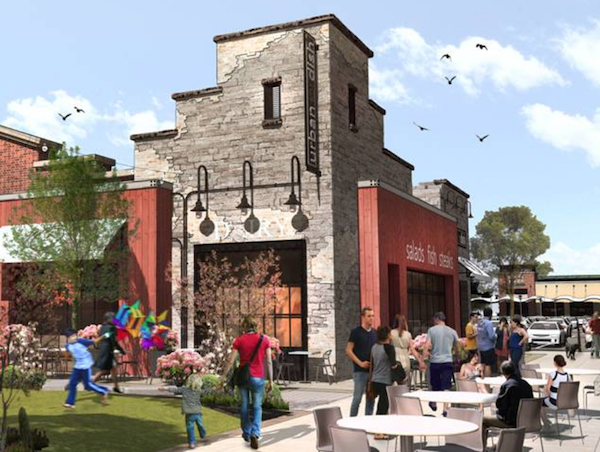 It is the first announced new retailer at Mellody Farm, a proposed $200 million mixed use of retail and apartments that received final village approval two weeks ago. Whole Foods Market long has been advertised by developer Regency Centers as a main anchor of the project at the northeast corner of Milwaukee Avenue (Route 21) and Townline Road (Route 60). Nordstrom Rack offers trendy, top-brand apparel, accessories and shoes at 30 percent to 70 percent off regular prices from Nordstrom stores and Nordstrom.com, as well as its own items. The fashion specialty retailer operates 123 full-line Nordstrom stores and 215 Nordstrom Rack stores, according to the company. "The purpose of this center is when people come to Mellody Farm, they're going to get an experience," Hendy said. "It's a different type of place, hopefully more fun than sitting on your couch and buying online." This is an excerpt from this full article posted on Daily Herald Business Ledger.